You probably recognize the word “Freon” and know that your air conditioner uses it – Freon is another term for R-22, which is the refrigerant commonly used in air conditioners and heat pumps. Over its years of service, your cooling system could experience a malfunction which causes refrigerant to leak, creating the need for a recharge. Recharging air conditioners with R-22 has become more expensive for Lexington homeowners in the past few years. This is due to a phase-out of R-22, designed to protect the environment. The Environmental Protection Agency has called for R-22 to be phased out as part of the Montreal Protocol, which restricts certain hydrofluorocarbons that are linked to ozone depletion. 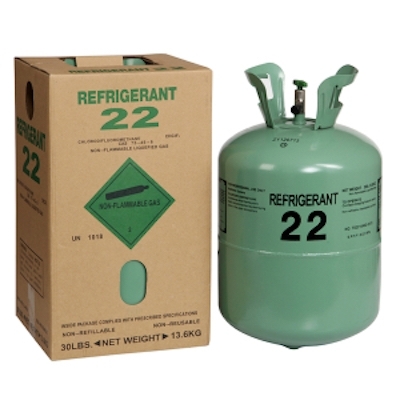 As of 2010, no new air conditioners can be produced using R-22; instead, they now utilize refrigerants that are safer for the environment, such as R-410A. Production of R-22 for existing systems has been limited, and will decline each year until 2020, when it must cease completely. In 2020, only reclaimed or recycled R-22 will be available for use to service air conditioners. With production declining, R-22 is limited, causing its price to increase. Air conditioners do not use up refrigerant – the need for a recharge is due to malfunctions which allow refrigerant to drain out of the system. Having your R-22 air conditioner repaired by a quality HVAC technician should prevent refrigerant from escaping the system, ending the need for constant R-22 recharges. Since new air conditioners contain environmentally-friendly R-410A refrigerant, you may wish to go ahead and replace your old air conditioner with a new model which is more efficient and safer for the environment. R-401A will be readily available for system recharging down the road, should your new system experience a refrigerant leak over its service life. If your existing Lexington air conditioner needs a refrigerant recharge, turn to Climate Control for affordable and reliable options. Our NATE-certified technicians perform quality AC repairs to correct leaking refrigerant lines and will safely recharge your system with R-22; or, we’re happy to guide you in selecting a new, more efficient air conditioner which utilizes R-410A refrigerant, and provide dependable installation. Contact us today for more information.